Here is a treat for MLI readers from Virginia Olsen Mineral. 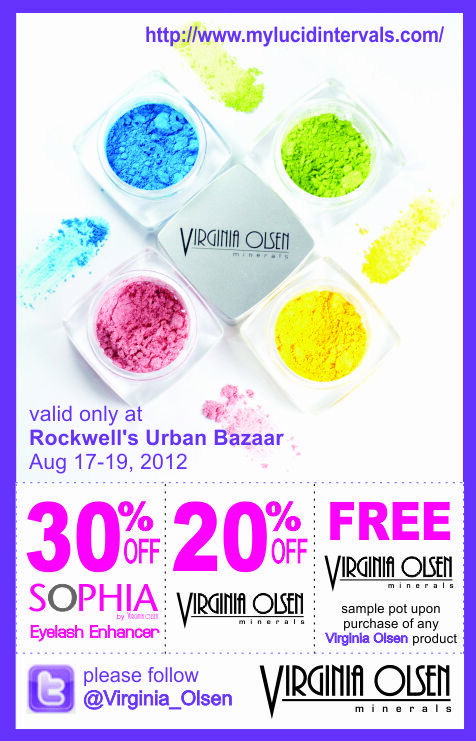 This printable discount coupon is valid at the Rockwell Urban Bazaar. Stay tuned for a lippie post later in the evening!